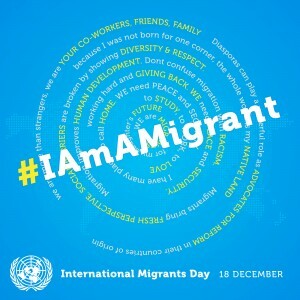 At the High-level Dialogue on International Migration and Development in October 2013, Member States unanimously adopted a Declaration in which they recognized the important contribution of migration to development and called for greater cooperation to address the challenges of irregular migration and to facilitate safe, orderly and regular migration. The Declaration also emphasized the need to respect the human rights of migrants and to promote international labour standards. The Declaration strongly condemns manifestations of racism and intolerance and stresses the need to improve public perceptions of migrants and migration.